Do I miss my hometown, or do I just miss my hometown's library? Since I left for college, I haven't owned a library card. Sorta. 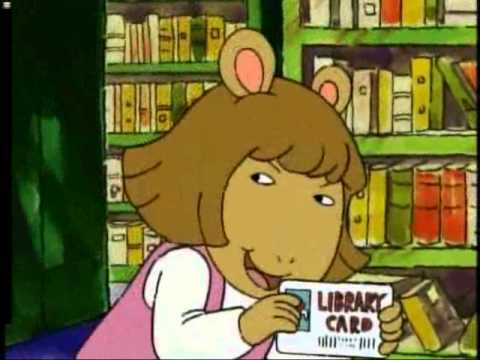 I had access to my Uni's library, and now that I work at a Uni post-graduation, I have access to the library here as well. But yesterday evening I snuck into the local public library and got myself a card. An actual picture of me last night after work. 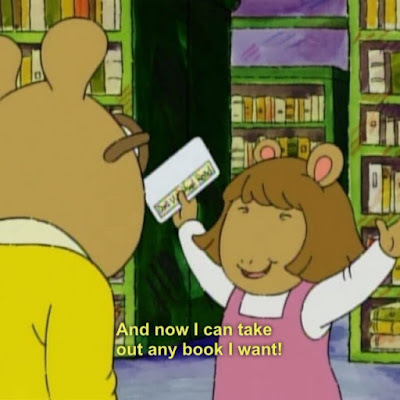 It triggered the memory of getting my very first library card. I remember being so excited that I was finally old enough, because my family made frequent trips to our local library. My dad had to "co-sign" with me, and even though my signature was terrible, I think I still have that library card safely tucked away in my childhood bedroom to this day. I definitely still have the very long card number safely tucked away in my noggin. I've mentioned reading a lot lately, but I don't think I can really emphasize just how important of a role it has played in my life. I don't remember many toys in my childhood, but I certainly remember reading as many books as I could get my hands on. We didn't usually buy books - because why would you do that when you could get them for free - but our garage was (and is) filled with my dad's collection. Not only do I have countless childhood memories of reading, but I have countless childhood memories of my library. All 81,650 square feet, four stories of it. 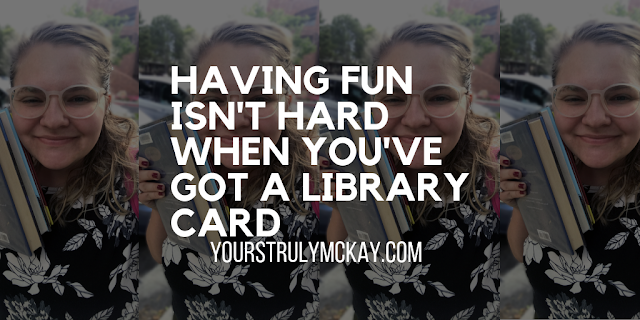 Even throughout high school and summers home during college, I would go to the library often. There was usually a pile of books stacked by the front door that needed to be returned to the library and Dad frequently came with me to get more books for himself too. During summers, I would literally go to the library almost every. single. day. and I started - and finished - a book almost every. single. day. Some of my favorite memories with my best friend Alex are of us being hoodlums in the teen section of what we lovingly call the "Rich Lib." Even though college made me kinda-sorta-totally hate books (how rude! ), with a re-read of Harry Potter during the summer of this year of our Lord, 2018, alllllll I want to do lately is read. Having three partially-read books sitting on my nightstand is making my feel like myself again. Libraries are a magical place. Why else would I show up to middle school and high school early just to browse around the school's library? If you remember my Possible Career Paths blog post, the second bullet point is "Librarian." It has always been a secret dream of mine, and although I often am a bun-balancing, bespectacled woman, I agree with Miss Paula Poundstone's above words. Libraries may be audibly quiet, but they are a very loud and very necessary presence in our communities. They provide education to people who may not have access to it otherwise. Libraries educate you and your neighbors. They bring the power of a story into lives - the power to have hope, to heal, and to become better. Libraries bring a community together in a way that almost nothing else can. Although I'm not convinced that I can ever love a library more than I loved my hometown's, today I feel like a kid in a candy store - or more accurately, Dora Winifred Read with her first library card. "Now I know what true power feels like."